Joyful Honda Reform Co., Ltd. is a home renovation specialist, engaging in everything from large-scale professional renovations, including kitchen, bathroom, and toilet plumbing, roof and external wall painting, and landscaping work related to sheds, carports, log houses, and gardens to smaller home improvement jobs. To translate each client’s wishes into reality, we offer the full range of services from quotation to construction management, which we conduct consistently and responsibly, for a wide array of home maintenance and improvement projects, ranging from total coordination services for your home to repairs. To ensure that you can place an order with peace of mind, our showrooms are staffed by large numbers of qualified building industry specialists, who provide professional advice and experience. Other features of our showrooms include our many displays of actual housing equipment and fittings, a feature reflected in our slogan “Can See, Touch and Select,” as well as model-room booths where you can experience lifestyle ideas. We work hard to deliver an environment that allows a client to award a contract to us with confidence. The company’s core art and craft specialty store “JOYFUL-2” has a collection of various hobby materials and tools such as painting materials, calligraphy, ceramics and stained glass, as well as art interior items including paintings and posters. The store also offers order-made products such as business cards, inkan (seals) and picture frames. There is even a cultural school on arts and crafts. Next door is an antique shop that carries antique furniture and miscellaneous goods mostly imported from Europe, as well as fashion accessories and tableware lining every inch of space, creating an atmosphere just like that of a movie scene. We are also engaged in tenant management of the complex commercial facility “Fashion Cruise,” in addition to lottery sales, and hospitality businesses including Italian restaurant “The Preston Cafe” and a brewery in the Utsunomiya store area, which manufactures craft beer. Joyful Athletic Club Co., Ltd. 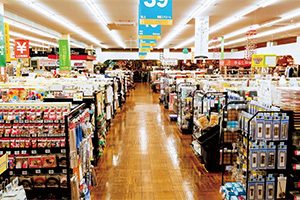 The company currently operates membership sports clubs in three stores: Tsuchiura, Moriya and Chiba New Town. Each club has a swimming pool, training gym and studios where you can participate in a variety of programs such as yoga and aerobics. There is even a tennis court (also used for lessons), which is rare for sports clubs. 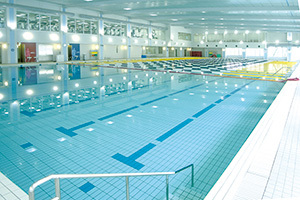 The Chiba New Town store has a 50m pool (50m × 25m) that you can use at your own pace. Relaxation facilities such as a spa and sauna are also available. We also offer swimming, tennis, gymnastics and soccer schools primarily for elementary school students to contribute to their health and growth. Going forward, we will continue to provide relaxing and enjoyable facilities and be a social outlet for the community. Joyful Shaken and Tire Centers are specialist automotive maintenance service centers, specializing in the sale and fitting of tires, automotive oil and car batteries, shaken inspection (mandatory vehicle inspection) and servicing. The safety and peace of mind of our customers is always our top priority as we pursue our work with certainty, and we offer the convenience of having your shaken inspection and servicing performed or your tires replaced while you shop. In the service pits, several mechanics work on each vehicle in the shaken lanes at the same time, working quickly and carefully. 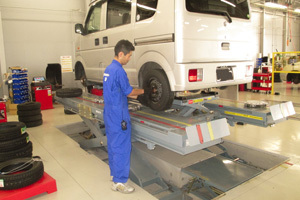 The centers also have many lanes for tire and oil changes and other similar services, to ensure that you are not kept waiting. The centers are staffed by qualified inspectors and mechanics and staff who have completed the special low-voltage handling training course. We are competent not only in mini-vehicles and compact cars, but also hybrid vehicles and electric cars. Please feel free to consult us about anything to do with shaken inspections, tire and oil replacement, and anything else to do with the maintenance of your vehicle.